On Sunday February 8th, WagonWheel Presents… brings not one but two fine Canadian singer/songwriters to The Greystones stage. Both touring brand new records as they return to Sheffield will be Amelia Curran and Dennis Ellsworth. Maintaining the international theme, from Austin, Texas via New York but now residing in Sheffield, Ash Gray opens the show. Advance tickets priced at £9 are available from http://www.wegottickets.com/event/298853 and the venue (12-6pm) or entry on the night will be £11. Doors open 7.30pm for an 8pm start. 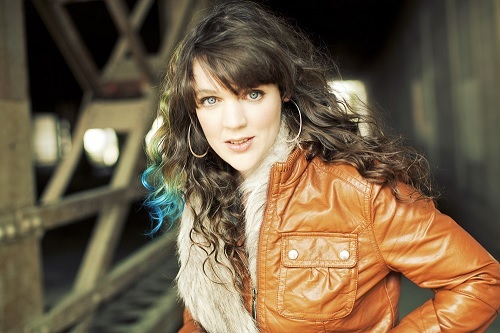 Amelia Curran received her first Juno Award for Hunter, Hunter in front of an adoring hometown crowd in St. John’s, NL, in April 2010. The album, which solidified Amelia’s reputation as an heir to Leonard Cohen’s songwriting throne, also received a total of four ECMA nominations, 4 Music NL awards, 3 Music NS awards, a spot on Exclaim’s Wood, Wires & Whiskey coveted year-end and a place on the 2010 Polaris Long List. With the release of Spectators in 2012, Amelia was once again nominated for a Juno Award for Roots and Traditional Album of the Year. The album is a meditation on frailty, restlessness, time and its finitudes, and is both storm and harbour to Amelia’s celebrated lyricism. The record received rave reviews, and found its way on to many Best Of 2012 lists across Canada. They Promised You Mercy is the newest collection of songs by Amelia Curran, Canada’s master contemporary songstress. On this album, Amelia’s knife-sharp lyrics find peace and even cheerfulness amidst lush layers provided by producer Michael Phillip Wojewoda’s nuanced studio vision. The album is a poised, focused and consummate work that showcases Amelia’s singular songwriting talent. They Promised You Mercy raises the lyrical bar yet again with its unrivaled eloquence. They Promised You Mercy was released by Six Shooter Records on November 4, 2014. Dennis Ellsworth is a prolific songwriter. Lately he’s gotten into rhythm of writing, recording and releasing an album a year. In between records, he travels around the planet singing songs characterized by a kind of dark optimism that’s informed by early influences such as Roy Orbison, Neil Diamond and Kris Kristofferson. Ellsworth can’t pinpoint what first prompted him to pursue music, but recalls singing ‘Forever in Blue Jeans’ in front of the mirror while brushing his teeth as a child. Since making the leap from the bathroom to the barroom, Ellsworth has toured Canada extensively, made inroads into the US and built a substantial following in the UK. In all, he’s released six records; all recorded live in a house or studio; two with his side project, Haunted Hearts, as well as Chesterfield Dweller of the Year (2009), the Strange Boat EP (2011), Dusk Dreams (2012) and his latest, Hazy Sunshine, in 2013 as a solo artist. Although he’s refined his sound and approach to writing over the years, some things remain constant. One is an acoustic guitar he rescued from 1970’s era cottage in the Catskills; a guitar on which he’s written almost every song he’s put down on tape and believes has a lot to do with his gift for songwriting. Another is the emphasis he places on collaboration with the musicians he brings together for each album and the importance of allowing their unique voices as players to influence his songs. Produced by Skydiggers guitarist, Josh Finlayson, and recorded over five days and wine filled nights at The Bathhouse, near Kingston, Ontario, Hazy Sunshine is a perfect example of how positively special that collaboration can be. “When I set out to make this album I wanted to isolate myself in the winter in rural Canada, and for that to contribute to the sound of the record, but we went in a different direction,” he says. 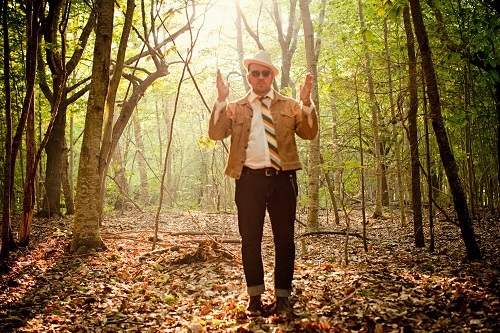 Although Hazy Sunshine represents a departure from Ellsworth’s past records; Dusk Dreams in particular; never before has the Charlottetown-based singer/songwriter released an album as heavily informed by his belief that, no matter how rough things get, if you lose hope you lose the ability to effect positive change. The result is a seamless blend of modern East Coast folk and rock and roll with shades of classic Americana, roots and country haunting the edges; a set of songs that anyone who’s questioned their place in the world will find their own experiences reflected in. While Hazy Sunshine dwells heavily on the necessity of remaining positive, it’s fuelled by the kind of dark optimism that’s always driven Ellsworth’s songwriting. “I’m hopeful but I’m not a firm believer,” he says, bluntly. There have been times that music has saved him, and times that it’s let him down, but aside from his beautiful and loving wife and their cat Winsloe, music has always been his truest friend and companion. If you need him for anything, he’s probably out for a stroll with his wife. Either that or he’s on the road and maybe playing in your town tonight and, if so, you should be at his show. At long last Texas songwriter Ash Gray finally gets around to releasing his debut solo album. The title Once I Got Burned is hopefully not a comment on his nigh-on twenty year career fronting The High-Class Family Butchers and Ash Gray & The Girls, or holding down the lead guitarist’s job in various rock bands in Austin and New York. But it does see a shift away from the gypsy punkgrass of the Butchers and the psych-pop of The Girls as Ash turns in an album of stone Texas country-rock. 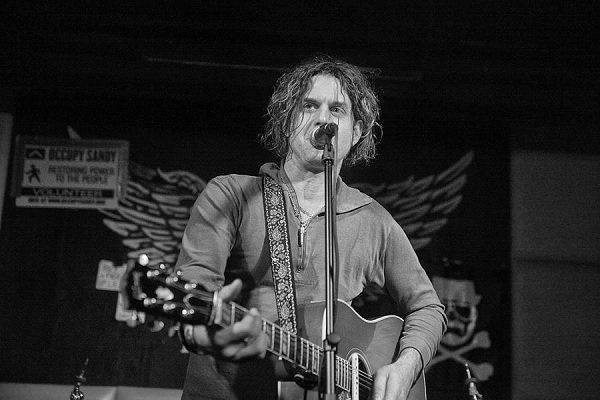 Born in the US to parents form Yorkshire, Gray first began to make inroads into the UK music scene when he assembled the Anglo-American ‘punk-grass’ band, the High-Class Family Butchers during a late-90s sojourn in London. Achieving notoriety (and not-inconsiderable airplay) with their back-porch covers of pop classics and guerrilla-gigging, the Butchers have continued over the years with a flexible line-up including members of Menlo Park, The Ralfe Band and folk poster-boy Seth Lakeman’s band. For a time they even included Harper ‘Son of Paul’ Simon, oddly enough. Relocating to New York with short-lived hard rock throwback band Cycle Sluts From Hell, Gray began shifting gears after realising that his female guitarist KG was a great harmony singer who blended perfectly with his backing vocalist Helen. He formed Ash Gray & The Girls in late 2008 as an acoustic trio, with him on vocals and guitar and these two singers. After some fine-tuning and the occasional personnel-change, the band launched the album Born In The Summer with a four-night stand at SXSW in Austin in 2012. Returning to the UK at the end of last year, Ash is currently residing in Sheffield, the land of his forefathers. The circle remains unbroken.